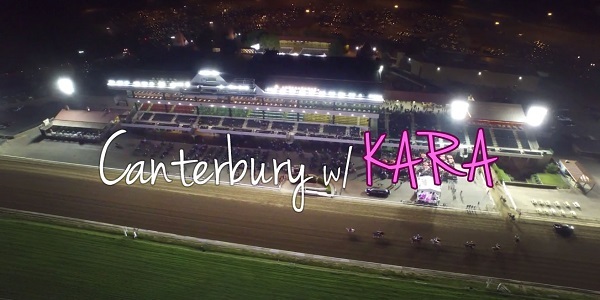 Watch this informational video with Canterbury correspondent Kara Toye to learn more about various pieces of racing equipment. This entry was posted in 2016 Racing Club and tagged Canterbury Racing Club 2016, Kara Toye by Canterbury Park. Bookmark the permalink. If the horse sees it shadow – do we get 6 more weeks of rain? Thanks Kara! Very interesting. I sorta kinda knew some of this, but now I actually really do know. For example, I had generally understood what the tongue tie was about, and I had tried to picture what it would in fact look like, but the actual apparatus is way more simple and less restrictive than I had imagined. I was an original club member and signed on again for another season a couple years back. But even when I’m not “in” the club I never stop reading this blog because I continue learning new things. Your reports offer a fun new dimension.